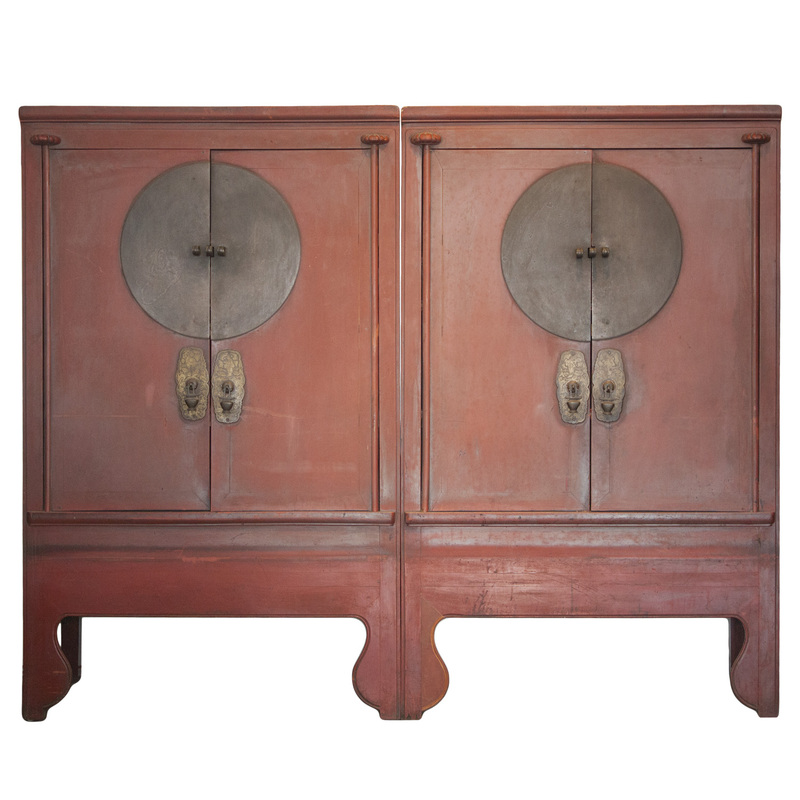 Each of this pair of extra large size antique Chinese wedding cabinets are fitted with the original etched beautiful old brass fitting as well as an impressive circular shaped original thick old brass plates as large as 21” in diameter. 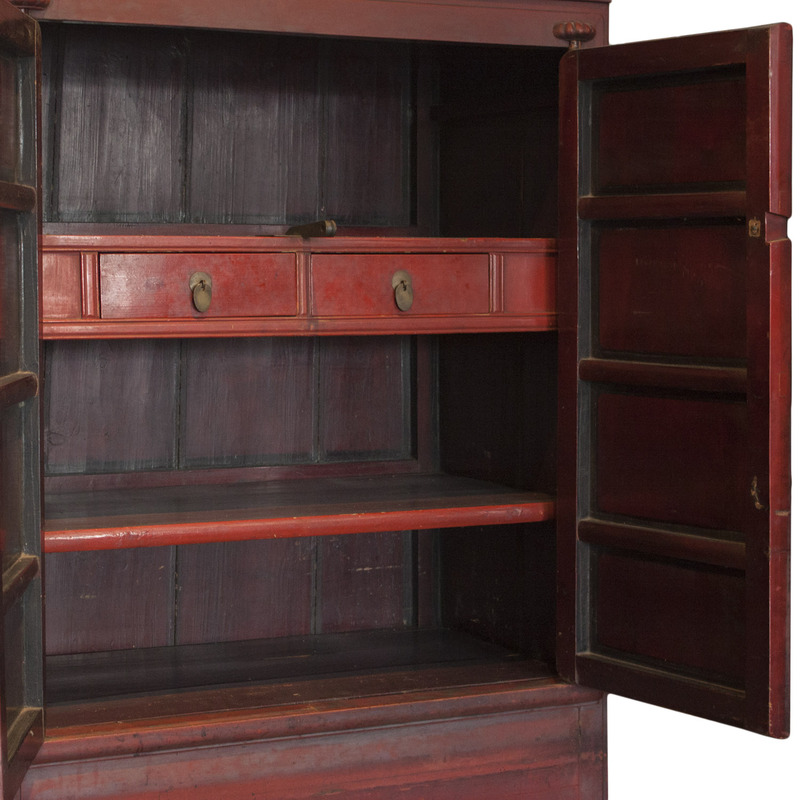 The old red color pigment on these cabinets is made of organic ground minerals. 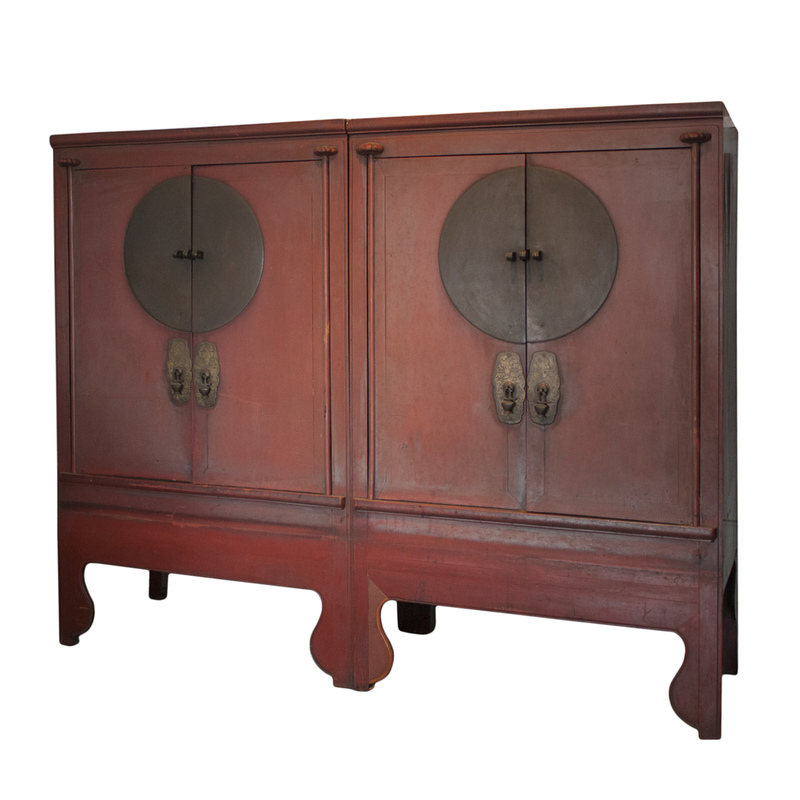 Originally from Ningbo in China, this type of wedding cabinet was very popular and many were shipped out of China to the west during the 90's, but few were in pair or at this caliber. This pair represents the highest quality and is absolutely the best example of this type of cabinet. 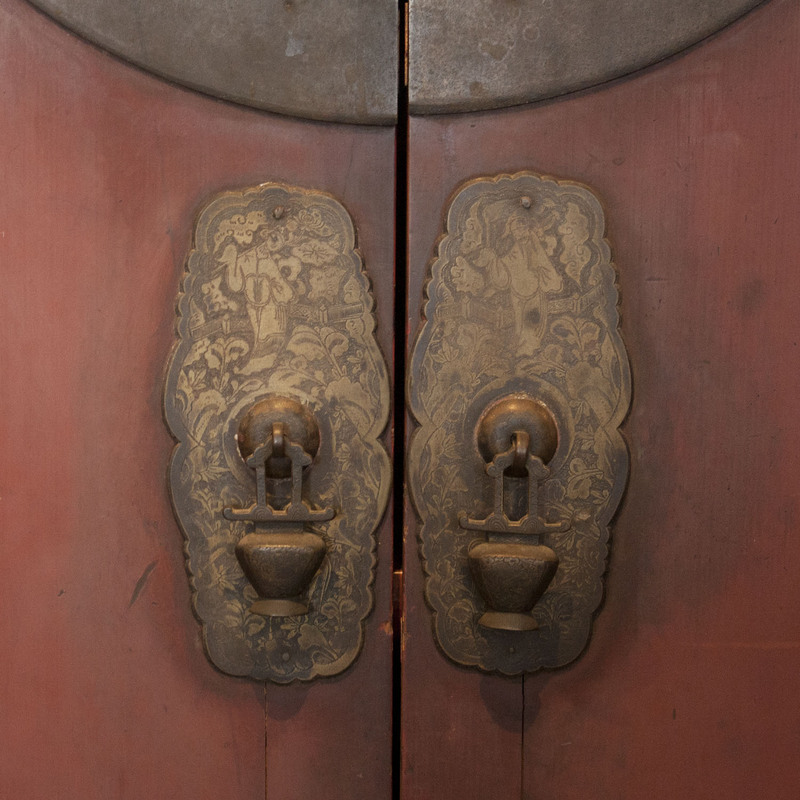 In original condition without being refinished in lacquer finish.